Dividing assets in a California divorce can be a complicated process, but with the help of a financial professional or a qualified lawyer, it doesn’t have to be. As California is a community property state, all property and debts need to be categorized as either community property or separate property. The community property is then divided equally between the spouses. • Community property needs to be divided equally between the two spouses. Because we recently posted about the difference between community property and separate property, and the basics of community property law in California, today we’ll be discussing details of the steps of the process and some potential complications that may arise during the process of dividing assets during your divorce or legal separation. What is a Declaration of Disclosure and what are the steps? 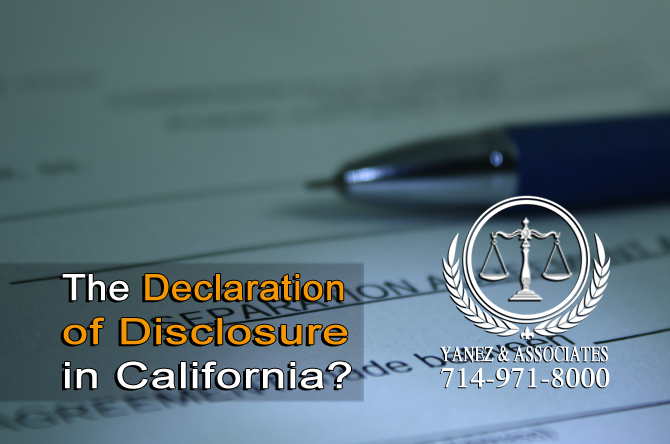 A Declaration of Disclosure is a required form in all California divorces. In order to divide assets and debts in a legal separation, a declaration of disclosure is also necessary. The first step in the property division process is to list all debts and assets that a couple has. This is the purpose of a Declaration of Disclosure, which includes several parts. There are several forms that need to be filled out correctly and completely, and submitted together. • The Declaration of Disclosure serves as a cover sheet, and it names all attached documents that will be submitted as part of the preliminary declaration of disclosure. • The Income and Expense Declaration lists all financial information so that your spouse or partner and the court are aware of it. You will also need your recent employment and payment information, for at least the last two months. • A Schedule of Assets and Debts, or a Property Declaration includes a list of all property and debts. Discuss your situation with your attorney so that you know which form works best for you. • The Declaration Regarding Service of Declaration of Disclosure lets the court know that you sent the required disclosure documents to your spouse or partner. Of all of the forms listed here, this one is the only one that you need to file with the court. Depending on the court in which you file your divorce, you may be required to submit different forms. Your attorney can help you make sure that you have the correct versions of the forms. 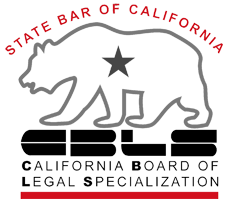 It is against the law to leave out financial information or to lie about any information regarding debts or assets in California. If you need to edit a declaration of disclosure after submitting it, discuss it with your attorney. You may be able to revoke your existing declaration and submit a new one. Declarations of disclosure need to be submitted at least 45 days prior to the trial date. 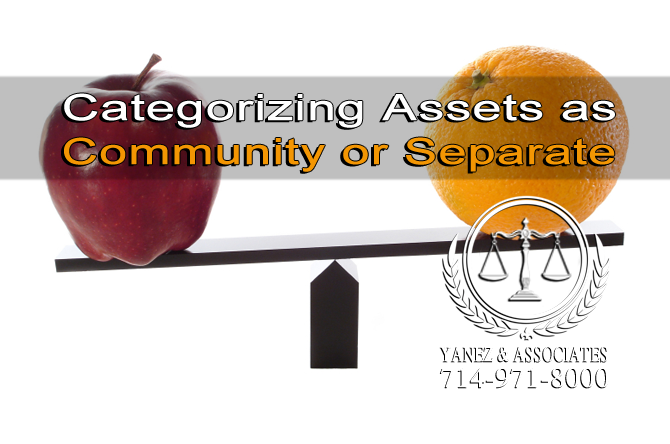 What are the rules for Categorizing Assets as Community or Separate? Following the basic rules of community property vs. separate property can seem simple enough: community property was acquired during the marriage or registered domestic partnership, and separate property was acquired before or after the marriage or registered domestic partnership. Tracing the money that allowed the acquisition of property or debt will give insight into whether it is considered community or separate. The issues with categorization usually arise when it comes to things like commingling. Commingling happens when separate property of one spouse or partner mixes with or is combined with either the separate property of the other spouse or partner, or with community property. For example, assume one partner or spouse purchases a house before the marriage, but does not pay it off. When the marriage begins, even if that same spouse continues to make payments from his or her own paychecks and the other spouse does not, those funds are considered community property because they were earned during the marriage. The house has now been paid for with both separate property (paychecks before the date of the marriage) and community property (paychecks after the marriage began). This means that the equity in the home is now both separate property and community property, and thus, commingling has occurred. So, how does one determine whether the home is considered to be separate property or community property? There is a process that can be used, in some cases, to determine whether property is considered community property or separate property: it is called tracing. Tracing is exactly what it sounds like - it is a process where a professional literally traces the source of all money in a marriage. Tracing is most important in marriages with high assets. The longer the marriage, the more difficult the tracing process can be. The shorter the marriage, the more necessary it may be, because there is more likely to be more separate property than community property in a short marriage. Once property has been categorized as either separate or community property, community property needs to be divided between the spouses. Generally, all assets will need to be valued, and the assets need to be divided equally between the spouses. Determining values for all property may be simple, or it may be complex. Vehicles change in value over time. Homes may require a professional to value the property. Things like businesses, pension plans, 401 k plans and life insurance policies may need professionals to determine current and potential future values. When both parties play a role in a family owned business it can be difficult to split. Businesses are one area of property division where one partner might buy the other one out, or both parties might need to sell the business and split the profits. When it comes to things like homes and vehicles, both parties will have to agree on a way to divide, sell, or otherwise equalize the values. One of the biggest issues in this part of the process is agreeing on the values of each piece of property or each asset. Both parties will need to work together with a professional in times when they disagree about the value of certain property. It is possible to determine an appropriate division of property between two spouses outside of the courts. However, no matter how you come up with the agreement, it is not official or legally enforceable until a judge has approved the agreement and signed it into a court order. When dividing debts how can I Follow Through to ensure our debts are satisfied? 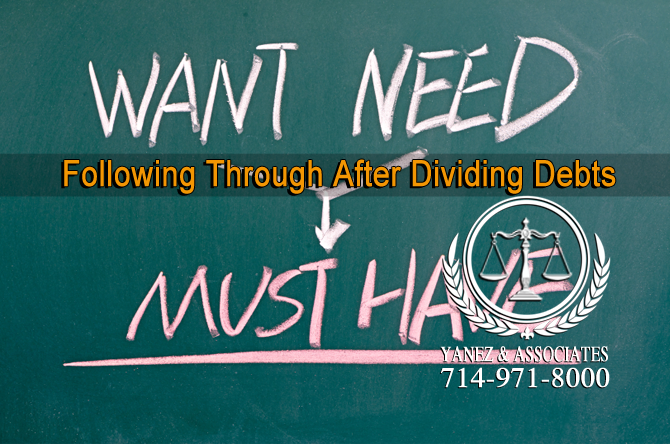 When dividing debts, it may seem like the best way is for each partner to take half of the amount. However, even if credit cards or other debts are only in one spouse’s name, a court order is not sufficient to stop the creditor from coming after the other spouse in the case that the first one does not pay. One way to ensure that both parties pay for their share of debts might be to sell a portion of your property during the divorce or separation, and to use those funds to pay for the debt. Or, after the divorce or separation, the partner who is responsible to pay for debt can open a new card in his or her own name, and transfer the balance from the old card to the new one. 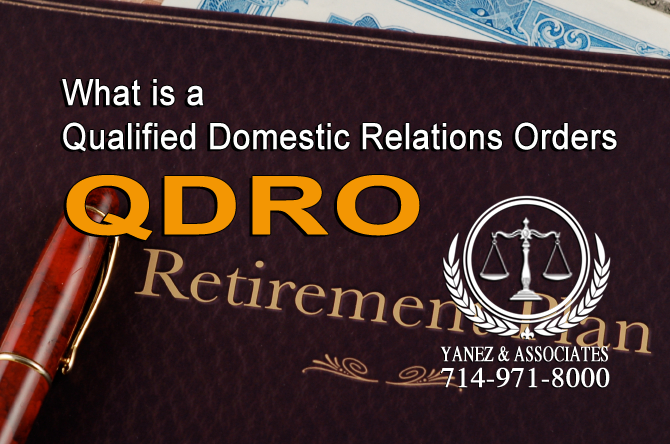 What is a QDRO "Qualified Domestic Relations Orders"
A qualified domestic relations order, or a QDRO, is a court order that states how a pension plan will be divided. Pension plans can be one of the most complex parts of dividing property, and obtaining an accurate and official qualified domestic relations order can be complicated as well. Always work with an attorney, especially if you have a pension plan or other flexible assets. Pension plans specifically have a lot of unique laws and rules that only apply to pension plans, and in order to make sure that your financial future is set, discuss your pension plan or your spouse's pension plan with a lawyer. Depending on the length of time that you have been married, and the amount of assets and debts that you and your spouse have acquired during your marriage or registered domestic partnership, dividing your property and debts may be more or less complex. 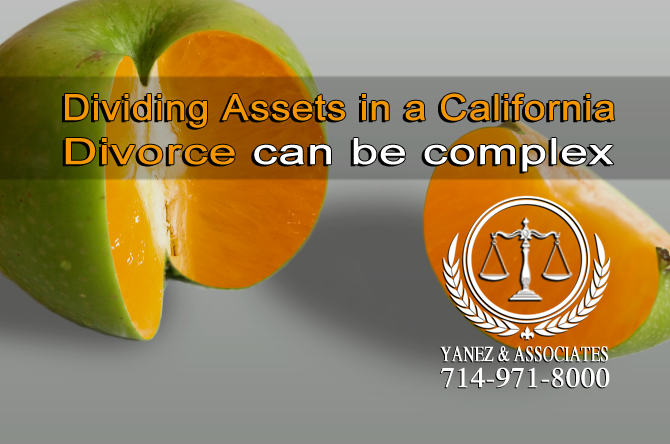 A qualified lawyer who has experience with asset division in California can help you work through the process, fill out the right paperwork, and understand how the law can help you. Simple mistakes in the process of dividing debts and assets can lead to serious consequences. At Yanez & Associates, we offer free initial consultations. Contact us today to schedule yours!